There are many museums, locations, historical sites, restaurants and....wineries to visit in Plymouth, of course there is Plymouth Rock with all its legends. Here is a description of the sarcophagus that is a monument to the first 51 Mayflower passengers that died the first winter. Known as the "Sarcophagus," this 9'8" x 4'4" x 6'5" granite tomb is the final resting place of the bones of the Pilgrims who died the first winter. Their names are listed on one side. Unfortunately, because the names’ letters are bronze attachments, they, and those on the other three sides, are constantly subject to vandalism. Inside, a plain pine box 24x12x12 inches contains the bones that had been in the top of the old 1883 Billings Plymouth Rock canopy that was replaced this year. The tomb was ordered by the General Society of Mayflower Descendants at a cost of $25,000. The Pilgrim Society eventually assumed its care and upkeep and then passed it to the Commonwealth of Massachusetts. The Sarcophagus is the site of a memorial sunset service during each triennial General Congress of the Society of Mayflower Descendants. I would like to caution you about Susanna. So far they have not determined what her maiden name was. In the past many have given her the last name of "Tilley" or "Fuller." This is not correct, however, you will see it in very old references and sources. This website gives a brief summary of Susanna White. William her husband is also hard to research. 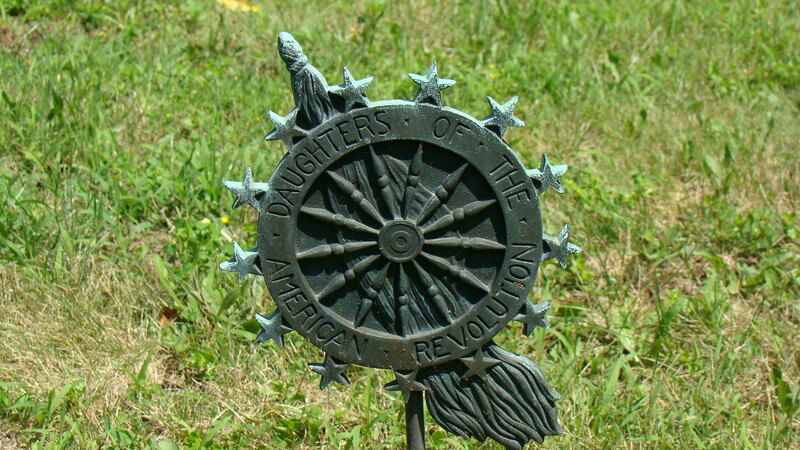 Back in 2003, I had the opportunity to visit Plymouth and Boston, Massachusetts. My husband had a conference to attend and I tagged along. 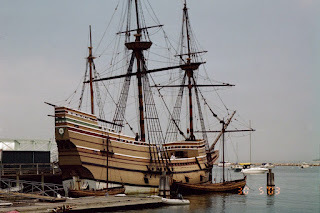 I was in search of my Mayflower lineage and so I was curious about all the Mayflower history and wanted to see it for myself. We rented a condo on Cape Cod with our condo club ownership and used my husband's accumulated hotel points to pay for the expensive hotel in Boston. Staying on Cape Cod (South Yarmouth) gave us easy access to the whole Cape Cod experience. We traveled up the peninsula to Provincetown stopping at various lighthouses along the way. We explored Provincetown and visited several more monuments ending up in a restaurant with a martini bar. Most of the time we drove up to Plymouth to sight see in and around the town. I did research at the Mayflower Library annex behind the big Mayflower Museum House. I highly recommend it for it is like one stop shopping for New England Titles even though you may find these titles in most very large libraries, archives and genealogical societies like the New England Historic and Genealogical Society. Also stop and take the tour of the Mayflower House Museum. The ship a replica of the Mayflower is anchored in the harbor and fun to explore. 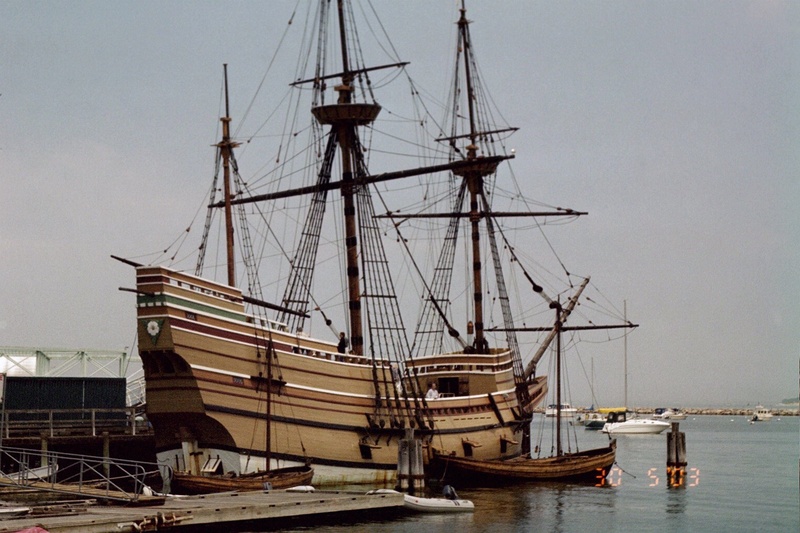 Mayflower II is worth taking a tour but be prepared to explain where you come from to the crew. The Pacific Northwest was not known in 1628 and I had trouble figuring out what to tell him the actor playing a part. He did very well and showed me no mercy. He was finally okay with we mentioned California. Oh yes, we did visit Plimouth Plantation and spent a good day there walking around and seeing the sights. As I recall we wandered the very large cemetery up on the hill in Plymouth called Burial Hill. It looked out on the landscape and some of the headstones were amazing. I studied the names and dates while my husband talked on his cellphone. HA! There are other cemeteries in the area like: Vine, Oak Grove, St. Joseph, etc. We headed back to Boston for the conference and traveled up through South Duxbury to Marshfield and on to Scituate having lunch at a cafe there. 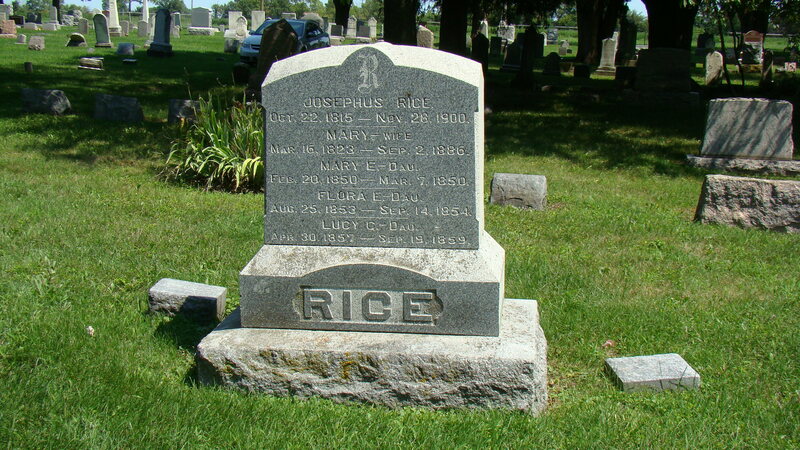 Forgive me but I jumped ahead and didn't take you to the Rice Cemetery in Milan Twp. So I am sandwiching this in between the October 30 and Nov 13th posts. After I finished up at the Goss Cemetery near Morenci, I headed up to the Rice Cemetery in Milan Twp., Monroe Co., Michigan. 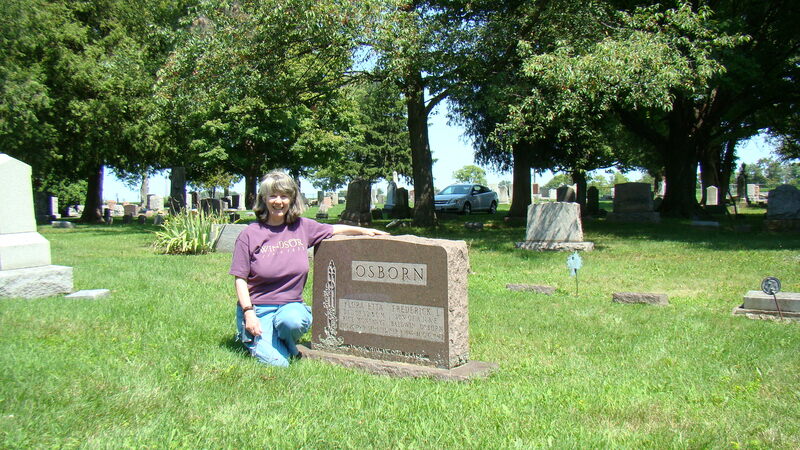 My reason was to visit the gravesite of Flora Montanye Osborn my cousin. 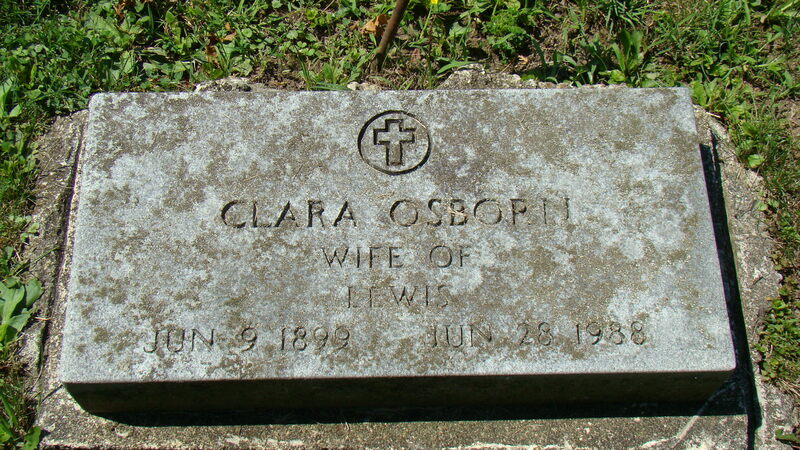 Flora did a lot of research on the Goss Family, corresponding with Paul H. Goss, another Goss researchers. I have been sharing about Flora on the Solomon Goss of Fearing Twp. blog presenting some of her findings. You can access that blog by going to the right side of this blog and clicking on the Solomon Goss Blog link. My day trip visiting cemeteries in Michigan in August 2007 included a quick trip up to Monroe County and the Rice Cemetery. 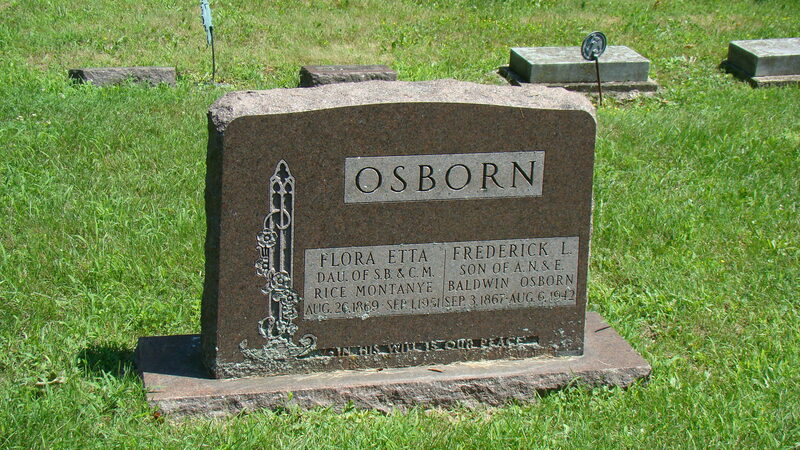 My goal was to pay my respects to Flora Montanye Osborn who had done work on the Goss family line years ago. I drove through Adrian and headed east toward the town of Milan. The Rice Cemetery is southwest of Milan on Dennison Road north of Hictory and south of Redman Road. It is nestled in a grove of trees on the left if you are going north. 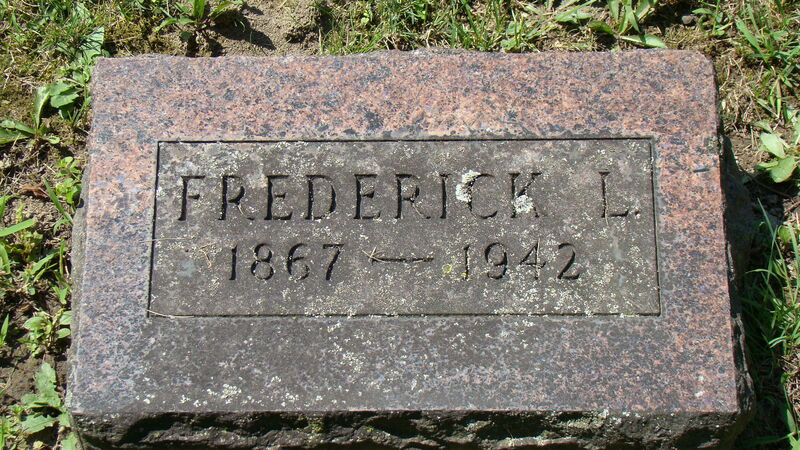 Find A Grave has a listing for this cemetery, a map and tombstone photographs. Source: Rice Cemetery, Milan Twp., Dennison Road, at Mead Road, Compiled by Linda Ziegler, Frieda Kellie & Shirley Keehn, June 10, 1980. Another version is the Rice Cemetery, transcribed by Linda Alair October 2000. 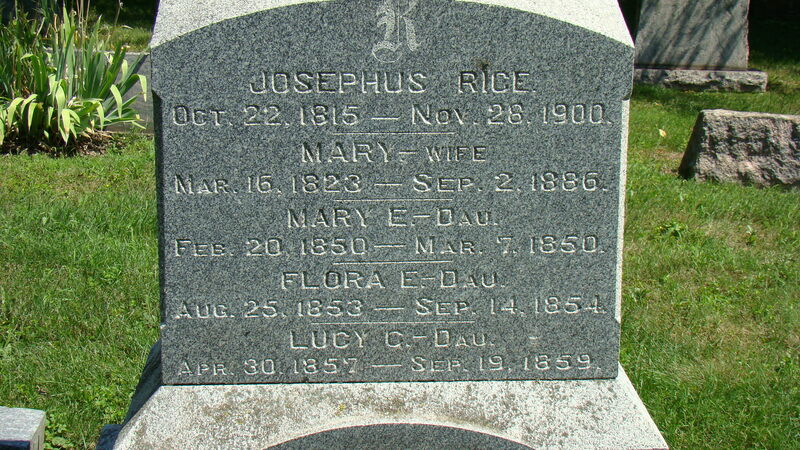 Closer to the Rice Family Tombstone (just click on the photo and it should open in a larger screen and then click your back button to return). 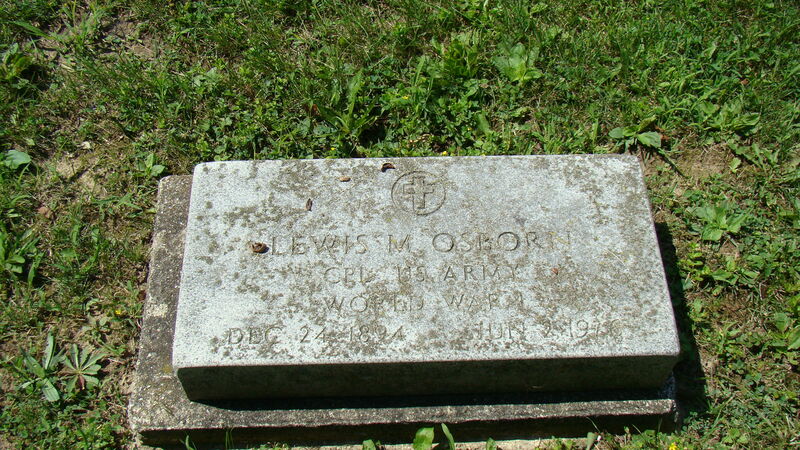 Lewis M. Osborn tombstone, son of Frederick Lester and Flora. My trip was complete and I headed west back to Fort Wayne traveling back through the town of Adrian, the county seat of Lenawee County. 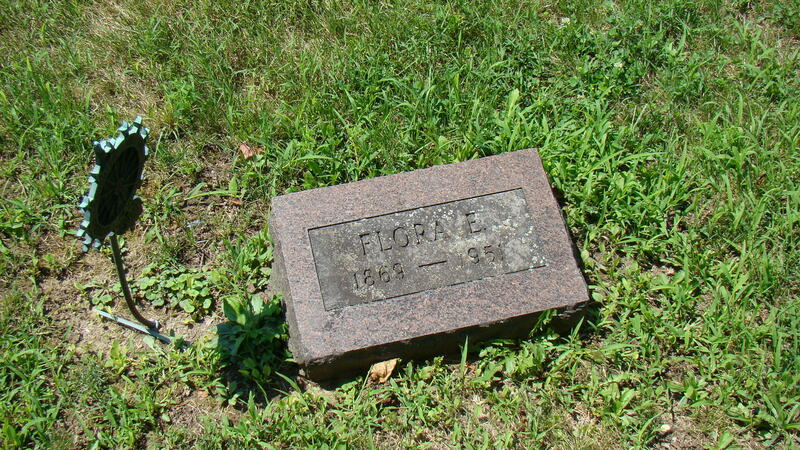 Here I am next to Flora and her husband's stone. It was a very good day!